This month is highlighted by the Solemnity of the Blessed Mother in her Assumption into heaven. The “style’ of this month ’s letter to our group, is to serve as a reminder for us all to pray for one another through St. Gaspar Bertoni’s intercession, that we might all one day join Mary now assumed into heaven. May this Solemnity serve as a reminder for all of us to add as an intention of our prayer for one another, that we might all live in an ever more intense hope of our own being called home to heaven in God’s own time. [106.] … This came from the interior security she [St. Teresa of Avila] had in following God’s will. She strongly believed that there is nothing that could hamper God from realizing what He has established. Her only fear was that she would not correspond duly to the graces of God. [144.] God does not turn down any of those who want to militate under the banners of His Son, and who avail themselves of the means He has prescribed: namely prayer and mortification. Indeed, such a person will have a glorious triumph. [168.] Undertake the spiritual journey by the narrow way and by Penance. The text is inspired by the verse in Matthew 7:14: Narrow is the road that leads to life. It could have been an inner voice, or taken for such by Fr. Bertoni who wanted to register it on paper and make it into a personal resolution. It could otherwise have been a generous resolution developed by himself which became a decision of his conscience in imitation of the Saints. What we are sure of is that he took it very seriously. So seriously that his biographers gave the blame to the severe miliary fever, which devastated him in 1812 and put the rest of his life [+June 12, 1853] in jeopardy, due also to his excessive work. He had not spared himself in the ministry and in the acts of penance: fasting and mortification to gain self-control. Furthermore, he was convinced that in order to correspond to the graces God gave him and to follow the mission he felt he was invested with, he could do nothing less than that. For many, especially in later life, this hope is challenged by chronic poor health. [169.] I shall forget your sins, and I shall show you how many things you have to bear in my name. It sounds like part of a dialogue between the Lord and his Servant. God calls Fr. Bertoni to the undertakings of His glory. Fr. Bertoni, (we suppose), objected like St. Peter after the first miraculous catch of fish: Depart from me, Lord, because I am a sinner (Luke 5:8). The Lord replied: I shall forget your sins… (Is 43:25) or I shall never again recall their transgressions (Heb 10:17). He repeats what he had said to St. Paul: I shall show him how many things it is necessary that he should bear for my name. (Ac 10:16). Similar words have been directed to several Founders of Religious Orders. Fr. Bertoni will address these – and in Latin! – to Leopoldina Naudet on 14 Dec 1812. 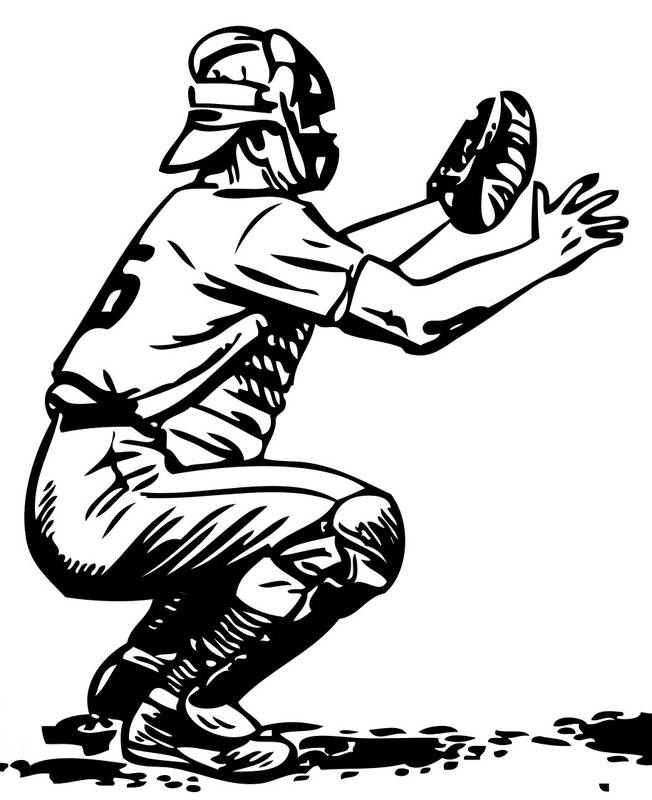 He will even add, jokingly as Saints can do: Take courage! This is the best share which God keeps in store for His beloved ones: … it is not a mouth-full for all! [170.] Very few are the people who have the perception of what God would do of them if He was not hindered by them in His plans. Let us pray for the intercession of St. Gaspar – and of Mary herself already assumed into heaven – that we might all persevere in our hope in God’s healing Mercy, that we might join them for all eternity celebrating the eternal Thanksgiving in the heavenly sanctuary! St. Teresa of Avila, Life… o.c., Ed. Rome 1949, c. 26, n. 2. Id. Interior Castle, Fifth Mansions, c. 2, n. 14. Id., Foundations, c. 27, nn. 14, 15. Id., Path of Perfection, c. 12, n. 1. Id., Letters, Venice 1739. Letter 38, to Alfonzo Ramirez. Ic., Interior Castle, Third Mansions, nn. 2-3. Id., Life… , o.c., c. 19, n. 13. St. Gaspar Bertoni’s Conferences on St. Gregory Exposition on Primum Regum – Meditation 16 a [## 5457-5508] – 1 Reg3:9-14; Meditation 16 b [## 5509-5554] – 1 Reg 3:15-21. Bartoli, o.c., Book 4, n. 36 margin. … A week later, His disciples were again in the house… Jesus came and stood among them and said: ‘Peace…!’ Then He said to Thomas: “Put your finger here and see My hands. Reach out your hand and put it into my side Do not doubt but believe .” Thomas answered: ‘My Lord and my God!’…Jesus answered him: ‘…Blessed are those who have not seen and yet have come to believe!’… [Jn 20: 24-29]. Earlier, these Apostolic men did not believe the eye-witness account that St. Mary Magdalene had seen the risen Lord – but her testimony was not believed! Once the Church leaders had been converted to Integral Paschal faith and hope, in their turn, St. Thomas would not believe them! May we today think of him on his feast day that he was the first one converted by the stigmata! Could we not want to be numbered among those followers of the Risen Lord – being on-going converted to an ever deeper, Faith Hope and Love yearning for healing in the Sacred Stigmata of our Lord Jesus Christ [cf. Is 53:5; 1 P 2:24]? There is no doubt that still in today’s world, human suffering is so rampant. And with the marvels of modern medicine, many of us are living longer lives than perhaps many if not most of our loved ones who have gone before us. We cannot help but hear again these words of Scripture: “… Seventy is the sum of our years, or eighty if we are strong… they pass quickly…!” [Ps 90:10]. In our faith, we believe that there is a two-fold content, a two-fold “object” of Divine Revelation: God Himself, and His Plan. All that happens in life in some way fits into this plan – even the hairs of our head are counted! [Lk 12:7] – no matter how many [or few!] of these may there be. Eschatology: we do not have here a lasting home. Our beloved Founder suffered very much in his nearly 76 years of life. The reflection this month of July is on a biblical reflection on suffering and some thoughts from Fr. 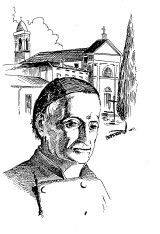 Cornelio Fabro, CSS on these many years in the founder’s life – that contributed to, and shaped his entire spirituality. May God grant that we might all receive such a grace! As the month of April ends and May begins, there are two Dominican Saints commemorated, who have been much honored by the Church: St. Catherine of Siena, Dominican Tertiary – and in early May, the Dominican Pope, St. Pope Pius Vth. St. Catherine served as a counselor Popes – and St. Pius Vth promulgated the Decrees of the Council of Trent – as well as promoted devotion to the Most Holy Rosary. This devotion came to the Church through the ministry of St. Dominic and many early Dominicans. To commemorate this month of May, we will offer a “birds-eye view” of a Stigmatine Calendar with an insight into some Stigmatine history from 1777-1911 – events that took place in the month of May over the years. For our spiritual reflection, I am also offering a translation of a study compiled by our late Stigmatine Confrere, Fr. Cornelio Fabro, CSS, on some of St. Thomas’ insights on Mary . [St. Thomas emphasized the universality of Christ’s redemption of the human race – and the Franciscan, Duns Scotus, clarified the more the terms of the mystery, by teaching that Mary was more loved by God, hence more perfectly redeemed from the contagion of sin: we have all been healed, and the contagion of sin was prevented from ever reaching her by God’s special grace – and the technical word used is “preventively”]. 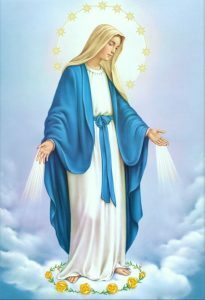 Then, secondly, there will be a brief outline of several of the parish sermons delivered by St. Gaspar, considering the Mother of God. 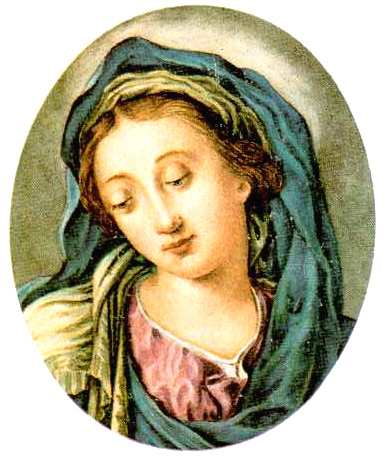 [It is remarkable that in his spoken word we have very little of his ideas regarding Mary as the Spouse of St. Joseph. However, our Patronal Feast of the Holy Espousals was simply a devotion lived in the early Stigmatine community. Let us deepen our devotion to the Blessed Mother of God in this month of May – as we ask for the intercession of the Holy Spouses Mary and Joseph, on our own lives, those of our families and of the Church. May God bless us all, each and every one! – let us ask for the grace of an increased devotion to Mary and Joseph, the Patrons of our Congregation and in a particular way, of our Province here in the USA! 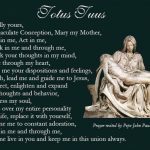 An Aspect of the Mariology of St. Thomas Aquinas – by Fr. Cornelio Fabro, CSS. An Aspect of the Mariology of St. Gaspar Bertoni in his Parish Sermons. Having reached more than the mid-way point in Lent – and with the coming of the new springtime, with its joy-filled celebration of Easter, the Ascension and the Pentecost, the reflection by Fr. Bertoni for this time may be his appeal for totality! This is already included from Old Testament times, in the wording of the First Commandment: “You shall love the Lord your God with all your heart and with all your soul and with all your minds.”[Dt 6:4; Mt 22:37; Lk 20:27 = CCC # 2083]. One of the great enemies of holiness is mediocrity. 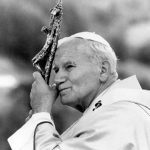 We were reminded of this for more than a generation by the Papal Motto and personal example of the late Saint Pope John Paul II: TOTUS TUUS. [80.] It is most unfortunate and a shame to see so much holiness in the Laity and so much imperfection and vices in a priest. It goes without saying that Fr. Bertoni preached these things to himself before preaching them to others. So, in inviting both to self-denial and to the cross, Fr. Bertoni was sure that as far as the Lord is concerned, He will never fail. On the other hand, he also saw the cooperation of God with so great an amount of Grace that human cooperation – as spontaneous as it can be – did not seem to him much more than a simple acceptance of an invitation. Furthermore, the cross was consequently so much lightened, to be able to say It is not us, but Jesus who, out of love for us, carries it in the end. [83.] When God calls people to some projects of spiritual life, one has to seize the opportunity of the moment. And at once they left the nets and followed Him. the intellect 2. the will 3. the execution. … Consider the excellent obedience with which the Apostles answered their calling. In fact… while Peter and Andrew were casting their nets into the sea and Zebedee’s sons were mending their nets in the boats with their father, when Christ called them immediately and at once, they left their nets and their father and everything and followed Him. … With this kind of obedience, the apostles showed the three excellent properties of this virtue. 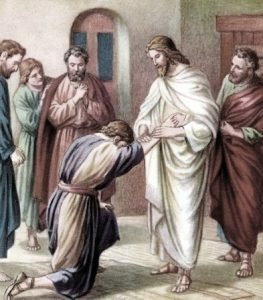 The submission of intellect and judgment: making them obey Christ and subjecting them to His orders without making any excuse. The submission of will: subjecting it completely to that of Christ, dispossessing themselves of the love they had for their wives, children, fathers, relatives and their own properties. The perfect execution: which was – as Saint Chrysostom says – prompt, punctual and cheerful, without delay not even for a moment and without contradiction. Oh, the miracles of God’s power! Oh, what changes can God do! Fr. Bertoni often spoke of our Divine Vocation. His teacher here, Fr. DaPonte, has stated that it comes “through the grace of the Holy Spirit, not depending on our merits, and that with it all other necessary goods are given for our salvation…; then it was really the case to exclaim: I fear Jesus passing by! This is seen in the traditional sense, i.e. “Woe to those who let Him pass without following after Him! Woe to those who do not seize the opportunity of the moment! [87.] In the spiritual enterprises it is of great advantage when two people find that they can share the same perception. 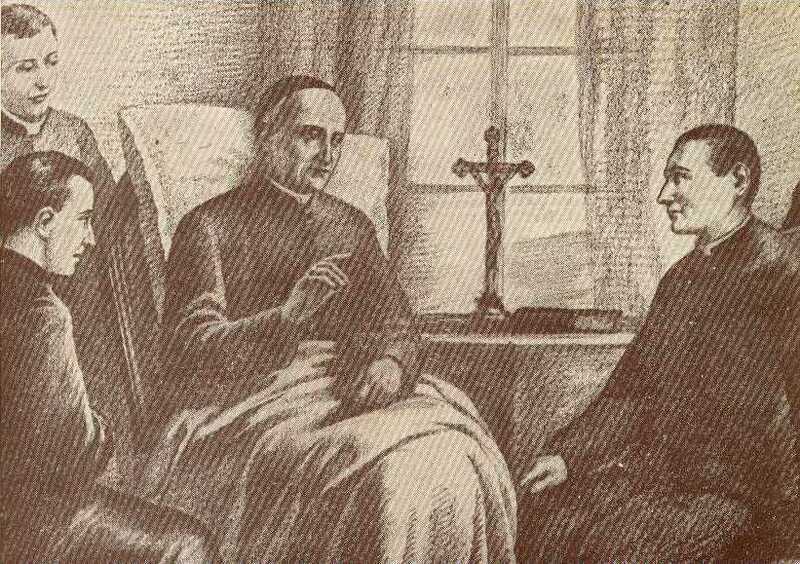 Farinati (ordained in 1802) and afterwards also with Fr. 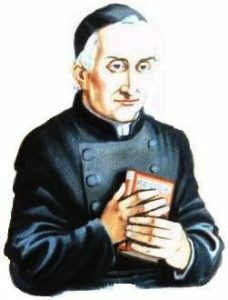 Cajetan Allegri (ordained in 1805). Fr. 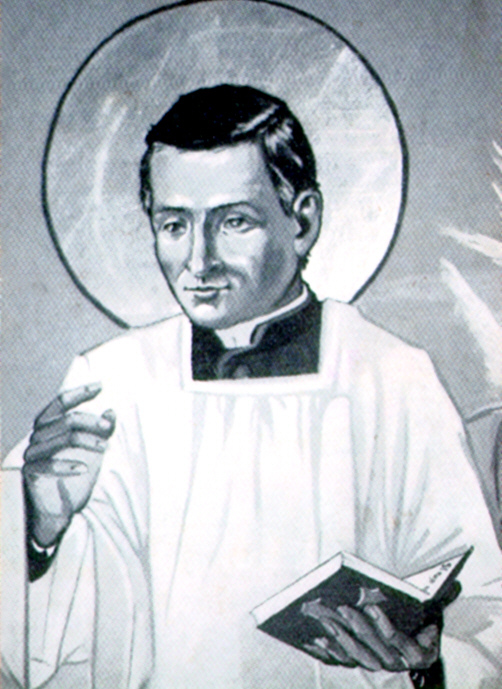 Giacobbe wrote that … these priests, animated by the zeal and spirit of Fr. 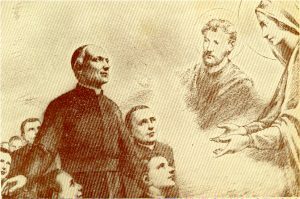 Bertoni, formed, as they put it, a threefold cord of admirable harmony among themselves… This principle held not only collaborating in the youth apostolate (to which Fr. Giacobbe seems to refer) but also in common study for their mutual spiritual growth. 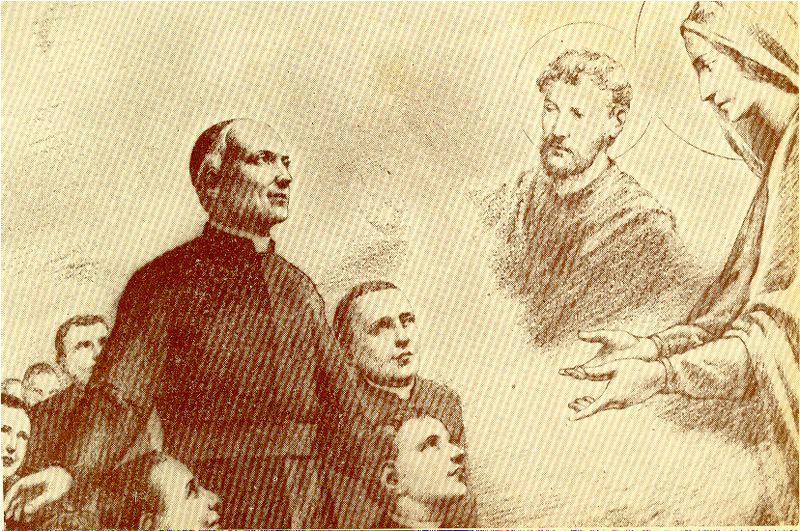 In addition to many other indications, we have a witness of this in the various extracts of quotations which the three priests drew together from the Life of St. Cajetan of Thiene and above all from Rodriguez’ Exercise of Perfection. Very revealing are the words which Fr. Farinati wrote on the inside page of the hardcover of that book: There are excellent ideals contained in this booklet! These words are followed by a quotation from the prophet Ezekiel: I sought among them for a man that might set up a hedge and stand in the gap before me in favor of the land so that I should not destroy it: but I found none. (Ezk 22:30). It seems that Fr. Farinati recognized in that prophetic text a common vocation of the three friends to be just that man. This was what stimulated them – as priests belonging to no Order – applying to themselves the whole exercise of perfection which was reserved for the Religious. It was also on the strength of the principle which Fr. Bertoni will support strongly, i.e. that what in the Religious is a tension towards Perfection, in the Priest should be acquired perfection. [88.] While we feel called to some high degree of Perfection, we should pay attention not to underestimate those who do not want to follow us. They might perhaps be of equal and greater merit in front of God. We all have the same purpose. Not all use the same means. This maxim is a development on that of 12 Oct: He who is drawn by the Spirit to a way of greater perfection… should not resent others who are of lower virtue and use lesser means as long as these are good. We were saying, there, that such is the spirit that filtered through the meditation of The Kingdom of Christ, according to St. Ignatius and Da Ponte. Different people are freely called to militate under the banner of Christ. It is clear that each person must imitate Him in the condition to which each has been called, for himself following those different invitations. Fr. Bertoni intended to keep the commandment which regards our neighbor: Do not judge… and to preserve one’s own meekness and humility of heart. We can see an encouragement in reminding ourselves that merit does not depend on the greater or lesser excellence of a vocation. This is God’s gift. It depends rather on the greater or lesser correspondence to such a gift. It could, therefore, happen that somebody with a lesser gift of God would correspond to it with greater perfection than others with a greater gift. As for the variety of ways and means to reach the same Ultimate End, this is but a logical consequence of the variety of the same vocations. [89.] – It was not you who chose me, but I who chose you (John 15:16). We have to pay much attention not to set ourselves against the Lord with our sins and lack of mortification. St. Paul tells us that we are all Temples of the Most High, of the Holy Spirit – still under construction – being built up by one another. As the Pierced Side of Christ provided an opening into the sanctuary of the Trinity –and invites us all into the celebration of the Eternal Celebration of thanksgiving by the Merciful High Priest forever in the Celestial sanctuary – let us all look into our own personal efforts to live this Lent, and to witness to the living of the Charism, unique otherworldliness of St. Gaspar Bertoni. By God’s infinite mercy, this is a gift for us all. Let us seek to inspire one another on how we strive to follow the lord, through the daily picking up our Cross through life. [p.s. In my letter for last month, I mistakenly quoted the date of the death of Fr. 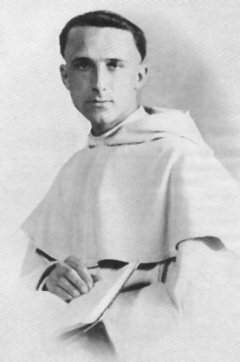 Garrigou-Lagrange, op – he died on February 15, 1964]. Bishop’s Letter, Septuagesima 1809, in: Raccolta di Lettere Pastorali. Verona 1817. With this apostolate, Fr. Bertoni indeed merits the title: Apostolic Missionary to the Clergy. Collectanea Stigmatina, Vol. I, pp. 119, 120. Meditation 11 on Primum Regum, January 1, 1811 – MssB ## 5182-5939. Panegyric I, Point 2: MssB ## 1795-1842. 5th Meditation on Primum Regum. December 9, 1810. MssB ## 4963. [All students of St. Gaspar remember his beautiful insight in considering the Church as ‘a Model of Holy Abandonment’ [cf. Epistolario, Letter 38, October 26, 1813. p. 99. St. Gaspar puts this among his Grades of Obedience in his Original Constitutions – CF # 144. Noted in St. Gaspar’s Original Constitutions – CF # 141. The qualities Fr. Bertoni notes here, based on St. Ignatius, are: integra, prompta, fortis, humilis. Summarium Additionale, Document 26, p. 342.
 cf. his Retreat to the Clergy, in 1810, in: Collectanea Stigmatina, Vol. 3, p. 129, ‘The Purpose [End] of the Priest’. 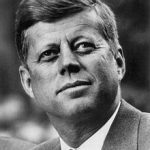 On this date, in 1964 – just three months after the assassination of President John Kennedy, Fr. 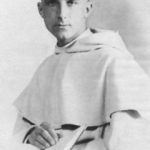 Reginald Garrigou–Lagrange, O.P. 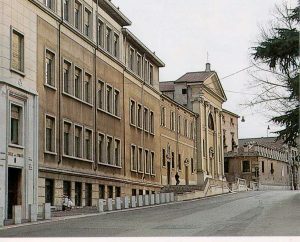 died at Santa Sabina Monastery in Rome [the general headquarters of the international Dominican Order]. For the first half of the 20th century, ‘Fr. Garrigou’ was a major contributor to Catholic Theology, one of international repute. To this day, he is perhaps best remembered for his work in Spiritual Theology – and his masterpiece, “The Three Ages of the Spiritual Life”. In recent years, many of these voluminous contributions to theology are being reprinted. He taught at the ANGELICUM in Rome for well over a half a century – and taught a number of our American Stigmatine Professed Students near the end of his long career, in the years 1952-1958. Among his major contributions of the Church is the fact that he also served as the doctoral thesis tutor of a young priest from Poland – Fr. 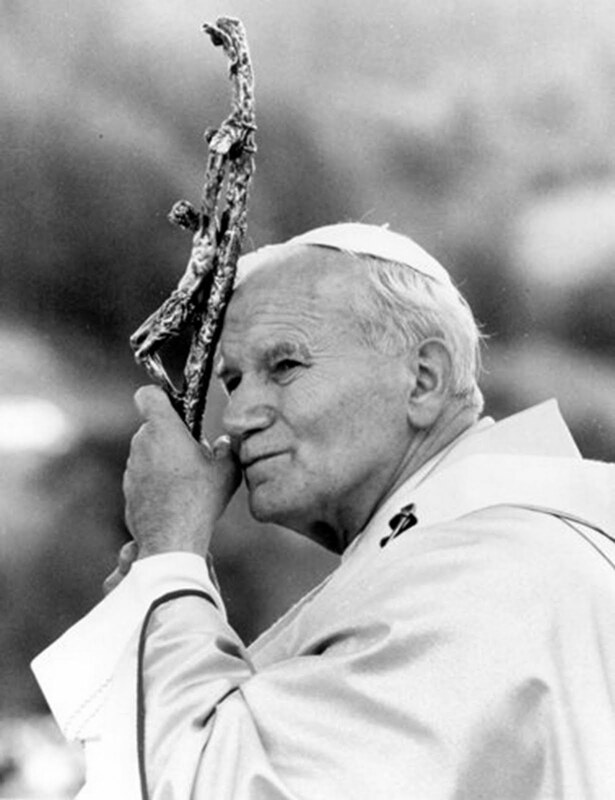 Wojtyla – who later became St. Pope John Paul IInd. Fr. Nello Dalle Vedove, CSS, in his fine theological study on the spirituality of St. Gaspar Bertoni. Fr. Nello’s fine work was entitled: “Gaspar Bertoni, A Servant of God”: A Model of Holy Abandonment”. This fine theological thesis proves that the now canonized Fr. Bertoni lived a life of a heroically strengthened theological hope in the living of Thy Will be done of the Lord’s Prayer` – throughout the long and very challenging physical and spiritual sufferings he had to endure for most of his 76 years on this earth. This fascinating study is still highly readable for anyone interested in a much deeper appreciation and reflection on St. Gaspar’s life and authentic spirit. printing of Fr. Garrigou’s theological works – perhaps originally compiled in the 1930’s. In his tract on Divine Providence, Fr. Garrigou refers to St. Joseph as a Model of Hope in the constellation of the Saints of the Church. In the theologian’s work on Christ [and His Incarnation and in His Redemption of the world], also recently reprinted – there is a final Compendium on Mariology with a few fine pages dedicated to St. Joseph. Fr. Garrigou teaches [cf. Christ, Aeterna Press Nov. 2016, pp. 567, ff. ]: “…there intervened between St. Joseph and the most Blessed Virgin Mary a marital bond… there is no doubt that to the most distinguished dignity whereby the Mother of God very far surpasses all creatures, it came about that nobody is greater than St. Joseph… God gave Joseph as Spouse to the Virgin… Patron of the Dying, protector of the holy Church. St. Joseph then, was predestined for an exceptional mission, as Spouse of the Mother of God, and foster-father of the Son of God. The Guardian of the Redeemer received a sanctity in proportion to his mission, and this sanctity increased until the very end of his life. St. Joseph was predestined to the protection of the Son of God incarnate and of His Mother… St. Joseph was considered by Fr. Garrigou as a “Model of Holy Abandonment [Hope]”. 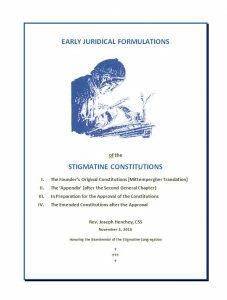 In the light of all the above, it is interesting to note that one of the finest “Apostolic Exhortations” on St. Joseph was presented during the long Pontificate of St. John Paul II: on August 15, 1989, the Apostolic Constitution Guardian of the Redeemer [Redemptoris Custos] was promulgated. A recommendation I might personally offer is that all read this work Redemptoris Custos, in a very prayerful, meditative spirit during the month of March, in observance of the coming Lent. 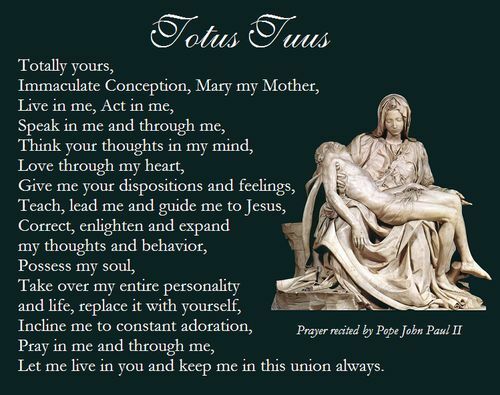 It is a wonderful contemplation on the Pope’s oblation of faith, and the commitment of life, as Totus Tuus – St. John Paul IInd’s papal motto. The document provides a powerful meditation on the Mystery of the Holy Espousals. Our late and distinguished confrere, Fr. Cornelio Fabro, CSS – offers some profound philosophical and theological insights into the term “Model” and its synonyms and parallels – as an ideal that offers us much for our own lives of faith. 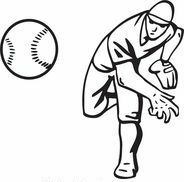 as a Noun: it means COPY; IMAGE; PATTERN; MODEL; EXAMPLE; PARADIGM; STANDARD, etc. Thus St. Thomas presents Jesus Christ As the Example for believers [III, q. 15; a. 1; 21, a. 3]. St. Thomas notes that when we try to explain in the mysteries of Faith, most helpful to be understood, we propose better known “examples” [I-II, q. 19, a. 10 c] – for our moral lives as well: Put on the mind of Christ Jesus. 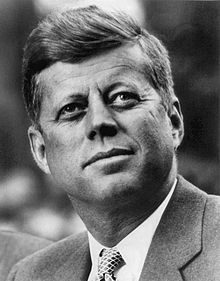 the term used as a CAUSE and as an adjective: this presents a form to be imitated, but one that assists us (as a Cause) in the undertaking This is an ideal that needs to be imitated, lived, in that God is also the First Exemplary Cause of all [I, q. 44, a. 3]. We are all made in His image and likeness. Furthermore, the Resurrection of Jesus Christ is the Exemplary Cause of our own [cf. III, q. 56, a. 1 ad 3um]. 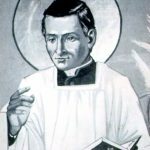 For a prayerful reflection on St. Gaspar for the month of March this year, with the help from the works of our late confrere, Fr. Cornelio Fabro, CSS – I have presented some thoughts on this wonderful Christian ideal – in the hope that each one of us might make a further application of the Stigmatine Founder’s life on our own. For this, let us pray to our Holy Patrons, the Holy Spouses Mary and Joseph, to intercede for us all for a blessed Lent. Sincerely yours in St. Gaspar! Jesus Christ, Icon of the Invisible God. 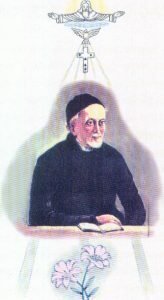 St. Gaspar Bertoni, Model of Holy Abandonment. Fr. Vojtyla [who is nowadays St. Pope John Paul IInd] was Fr. Garrigou’s doctoral directee for his very apropos thesis on the darkness: “The Question of Faith according to St. John of the Cross”. By the way, our former neighbor on Quincy Street in NE Washington D.C.. In the month that will soon open, we find ourselves in the midst of winter – yearning for the spring. 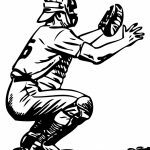 Soon we will hear the clarion call for baseball teams: Pitchers and Catchers are called to Spring Training early in February! This is an early call to an anticipated spring. We look ahead to Lent, followed by the new springtime and the resurrection. For the month of February, I offer, on Appendix I, these reflections to the Stigmatine Laity: pondering on the month of February through our history from the “Stigmatine Calendar” and our call to detachment and to trust in the God of the blessings more than to the Blessings of God! For this month of February, I submit, on Appendix II, an English translation of a recent serious theological study on Christ, as Spouse [of the soul; of the Church]. May the God of Mercy bless us all in our efforts to serve the Church, Spouse of Christ – to be more dedicated to the Nuptial Banquet of the Eucharist – to look forward to the eternal Easter Nuptial banquet of everlasting life! Respectfully yours in St. Gaspar!